Korean celebrities have a particular veneer to their complexion that strikes instant envy. 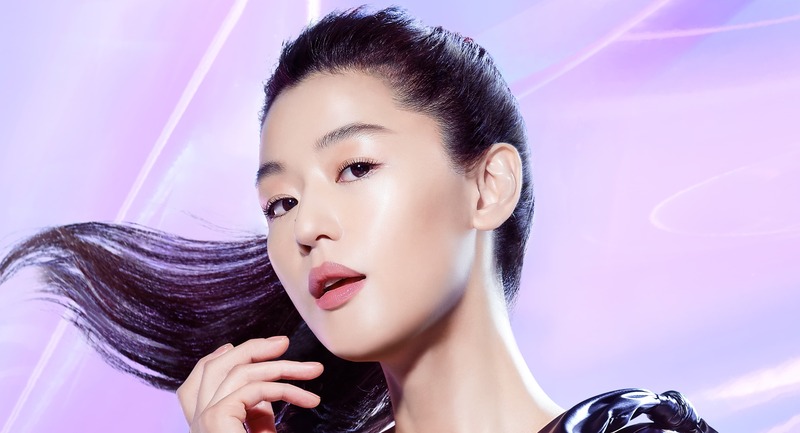 All of us want the poreless and dimensionally radiant skin that these stars effortlessly have, and now, with the revamp of the iconic HERA UV Mist Cushion, that glow goal doesn’t seem too far off. The UV Mist Cushion has long been a staple product in the core HERA line and has remained one of Korea’s most sought-after cushion foundations because it imparts both hydration and an alluring glow to the skin. First released in 2012, the UV Mist Cushion has gone through two revamps, with the latest one being released in Singapore’s first standalone HERA boutique at Ion Orchard. The upgraded UV Mist Cushion has also undergone an image overhaul, with a new iridescent purple and black packaging with magnetic closure. Taking the idea of radiance to the next level, the new HERA UV Mist Cushion promises to imbue your complexion with a fresh, silken sheen detectable from every angle. The new formulation also alleviates skin dullness with the combination of patented Colour Filtering and Secret Colour Powders, as the two work together to brighten and balance your tone. One would also typically associate dewy cushion foundations to be on the medium to low-coverage end, but HERA manages to deliver full coverage that doesn’t reduce any of the coveted glowy finish or feel heavy on the skin with the UV Mist Cushion. This means you don’t have to worry about any blemishes being enhanced once you pat the liquid on. Instead, expect to marvel at how refreshed your face looks. If you’re sold on the updated UV Mist Cushion, then visit the new HERA Boutique at ION Orchard to pick one up yourself. While you’re there, you might as well complete the glowy K-star look by picking up the HERA Lip Gelcrush, another fresh drop from the brand. The new HERA Lip Gelcrush. This lasting gel lipstick has the shine of a gloss, but the pigmentation of a cream lipstick, so your lips look both bold and juicy for a longer time. With 16 colours to pick from, ranging from subtle corals to berry tones and stunning reds, the Lip Gelcrush is another must-have if glossy lips are right up your alley. Since glow has grown from a beauty trend to an indispensable part of our beauty routines, you’ll definitely find us at the HERA boutique grabbing the UV Mist Cushion and Lip Gelcrush off the shelves just to live our best K-star lives. HERA’s flagship boutique is now open at B2-37 Ion Orchard, Singapore 238801.